In Pole position: Jakub Przygonski. 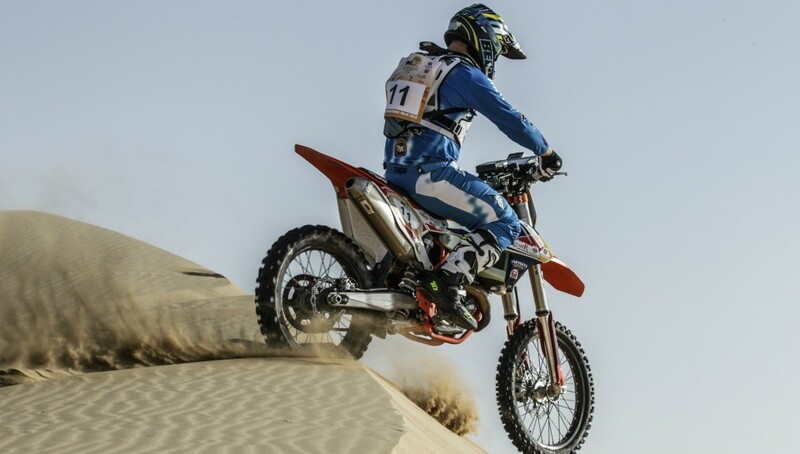 Polish driver Jakub Przygonski and UAE-based South African rider Aaron Mare set the pace on the first leg of the Dubai International Baja powered by Nissan and AW Rostamani while home favourite Khalid Al Qassimi was a major casualty in the Al Qudra desert. Partnered by Belgian co-driver Tom Colsoul in a Mini John Cooper, Przygonski won the opening day’s 174km special stage on Friday by 2mins 6 secs from Russians Vladimir Vasilyev and Konstantin Zhiltsov in the second round of this year’s FIA World Cup for Cross Country Rallies. 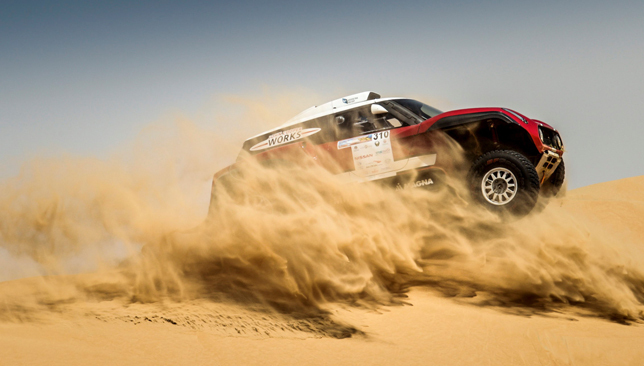 Saudi Arabia’s Yasir Hamed Seaidan, alongside Russian co-driver Aleksei Kuzmich, were third fastest on the day, another 3m 37s away in their Toyota Hilux. But there was disaster for top seeded Al Qassimi and French co-driver Xavier Panseri as their Peugeot Abu Dhabi Racing Team 3008 DKR went out with mechanical failure just 70km into the stage. 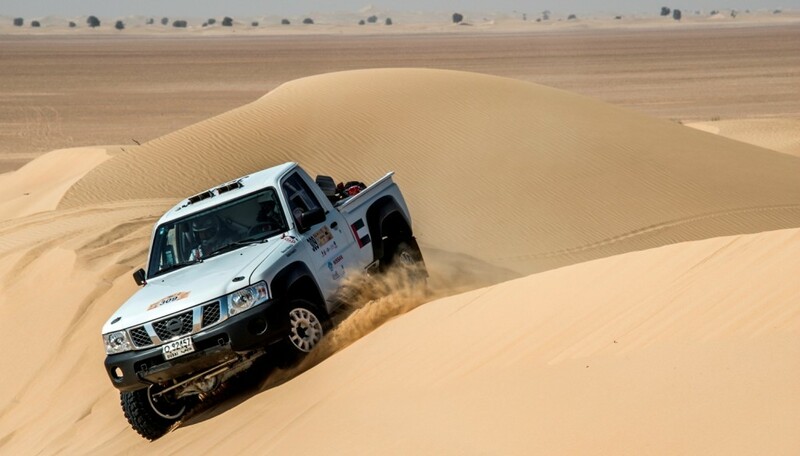 With Czechs Martin Prokop and Jan Tomanek fourth fastest in a Ford F-150 Evo, the UAE’s Mansoor Al Helei and Khalid Al Kendi in a Nissan Pick-up and Thomas Bell with Patrick McMurren in a Nissan Navara completed the top six. 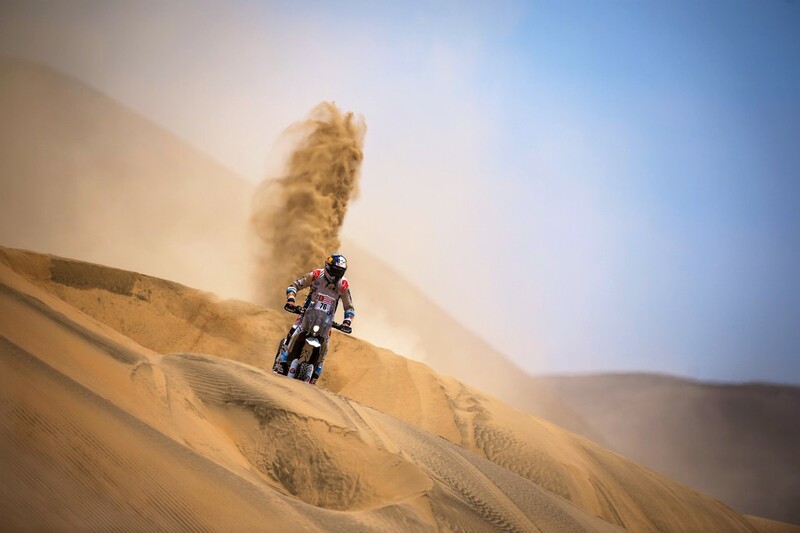 Lying ninth overall in a Polaris RZR, Ukrainian Vadym Prytuliak led the buggies category and was on course for a second successive Dubai Baja title. In the battle of the bikes, Mare grabbed a 32-second first leg lead from Kuwait’s Mohammed Jaffar in the first round of this year’s FIM Bajas World Cup, despite a crash which left him nursing sore wrists. French rider Benjamin Melot, last year’s runner-up, is another 1m 37s away in third place. 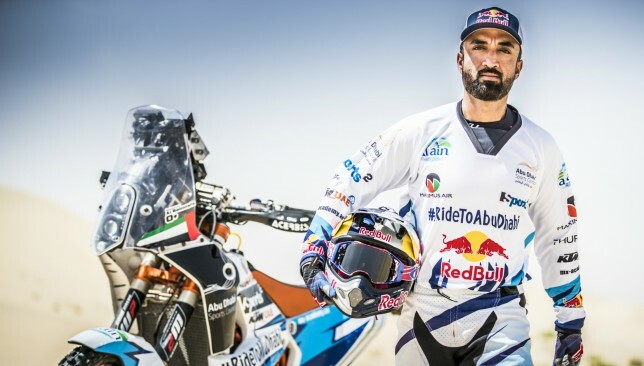 Top-seeded UAE rider Mohammed Al Balooshi was fourth fastest on the day a further 1m 2s adrift, with his brother Sultan and Italian Manuel Lucchese completing the top six. 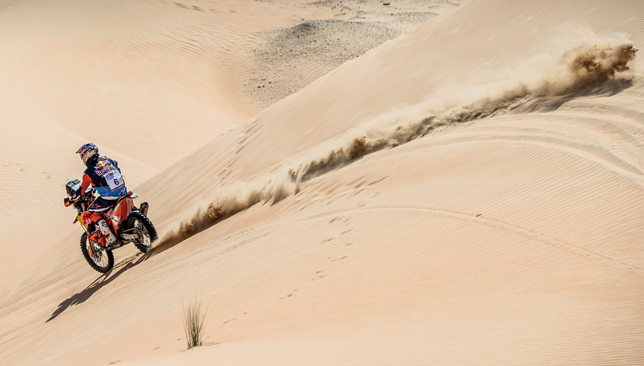 Aiming for a successful quads title defence in Dubai, Kuwait’s Fahad Al Musallam made the perfect start on his Yamaha 700 Raptor, opening up nearly a 15-minute lead over Russian rider Aleksandr Maksimov on another Yamaha. Far from a Night-Mare: It was a dream day for Aaron Mare. 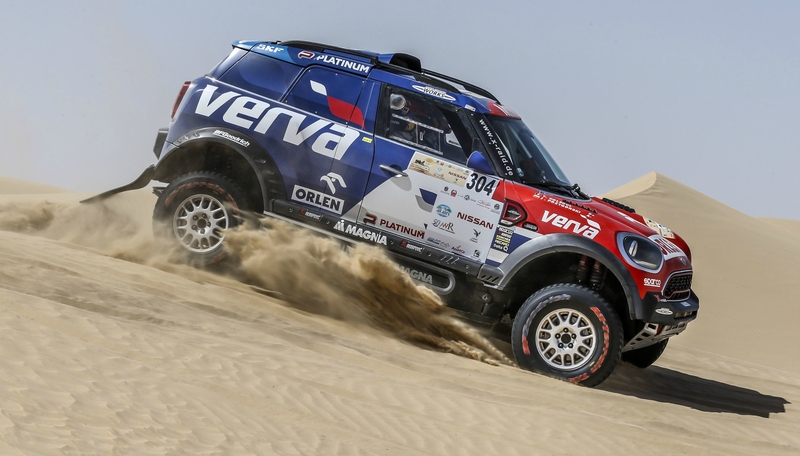 Vasilyev, who scored back-to-back victories in the Abu Dhabi Desert Challenge in 2014 and 2015, now needs a big effort if he is to secure a third World Cup rally triumph in the UAE, although Przygonski can afford no mistakes or mishaps. The UAE’s Mansoor Al Helei is among the contenders. After Thursday night’s ceremonial start at Dubai Autodrome, 46 cars, buggies, bikes and quads headed out into the dunes and plains of the Al Qudra desert which will be repeated on Saturday. The survivors reach the finish at Dubai Autodrome at 16:30.